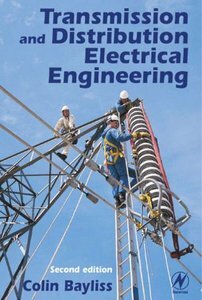 This comprehensive treatment of the theory and practice encountered in the installation and design of transmission and distribution systems for electrical power has been updated and revised to provide the project engineer with all the latest, relevant information to design and specify the correct system for a particular application. The author's wide-ranging experience and expertise in managing numerous international projects will enable the reader to understand the reasoning and implications behind the different specifications and methods used by supply utilities around the world, and thence to meet their various transmission and distribution requirements. * Find out the reasoning and implicatons behind the different specifications and methods.